Nobody does portable shelter like Shelter Logic. 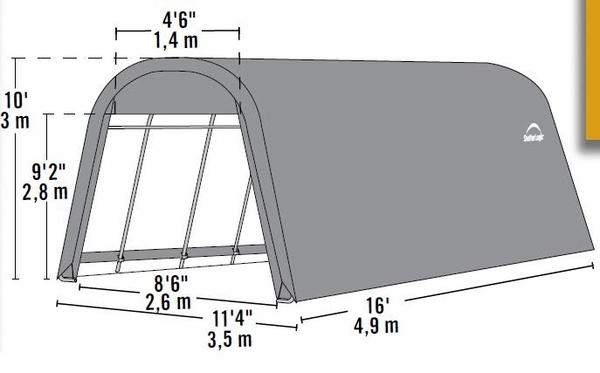 Sturdy construction and easy setup combine to make this the perfect shelter for protecting your vehicle, boat, lawn equipment, or just about anything you want to provide protection for. This rounded design structure is crafted with sturdy, 1 5/8" diameter steel frame that has a baked on DuPont powder-coated finish, preventing rust and corrosion. The cover is made of tough, UV-treated, commercial-grade 9 oz woven polyethylene, and is kept smooth and tight with the Ratchet Tite tension system and Easy-Glide sliding cross-rails. 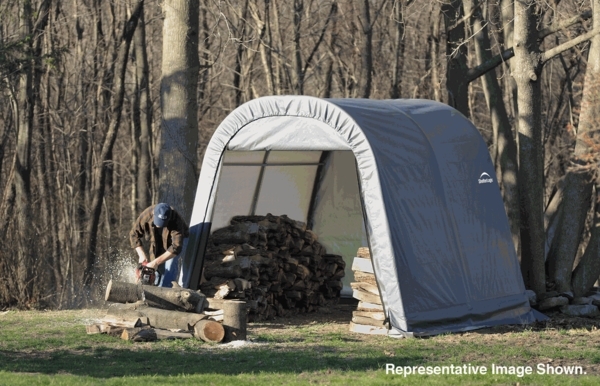 The front zippered door allow easy access, making this a portable shelter your friends and neighbors will want to have.